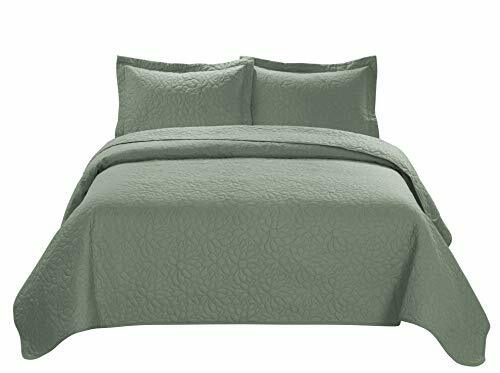 Size:King/Cal King | Color:Pink This frame pattern embossed 3-piece coverlet set matches Frame Jacquard 5-piece Comforter Set. 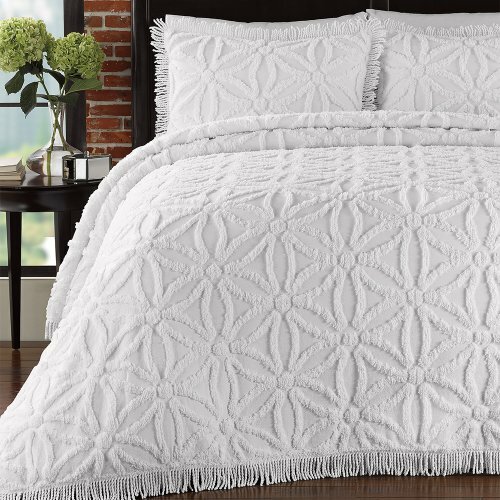 Sleep without any cleaning hassles with this oversize coverlet set. 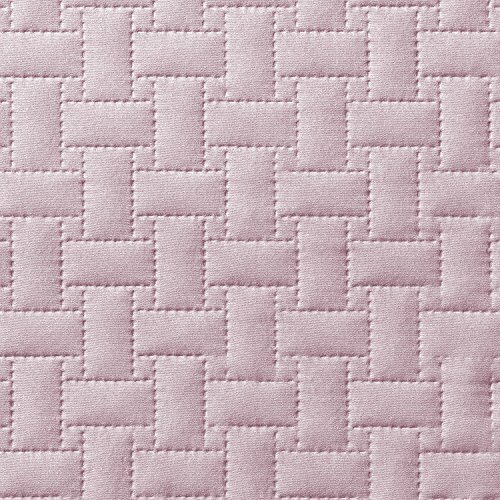 The advanced quilting prevents the filling from shifting, ensuring a lasting soft, lofty feel. The microfiber fabric is hypoallergenic and luxuriously soft. 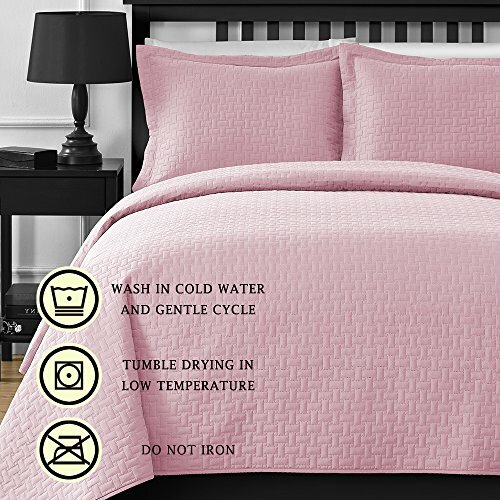 Features: Includes 1 oversize coverlet and 2 pillow cases. Crafted entirely of hypoallergenic microfiber. Machine washable in cold water and gentle cycle. Available in Full/ Queen or King/ California King Size. Color options include spa blue, navy, black, plum, grey, khaki, burgundy, light grey, brick, and sage. Full/ Queen Dimensions: Oversize coverlet: 100 inches wide x 106 inches long and 2 Pillowcases: 20 inches wide x 26 inches long. 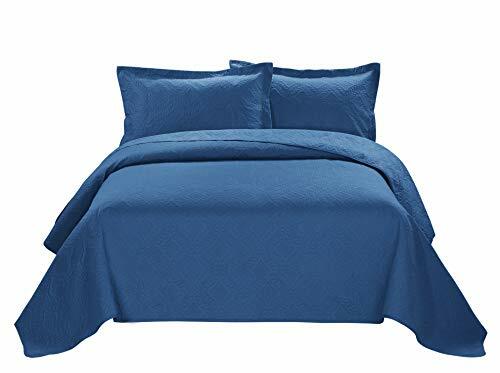 King/ California King Dimensions: Oversize coverlet: 118 inches wide x 106 inches long and 2 Pillowcases: 20 inches wide x 36 inches long. The digital images we display have the most accurate color possible. However, due to differences in computer monitors, we cannot be responsible for variations in color between the actual product and your screen. Please note: Some options listed or pictured may be currently out of stock. All in-stock options are listed near the Add to Cart button.